Starting off the meal (lunch special), we were all presented with a Spring Roll with a side salad. 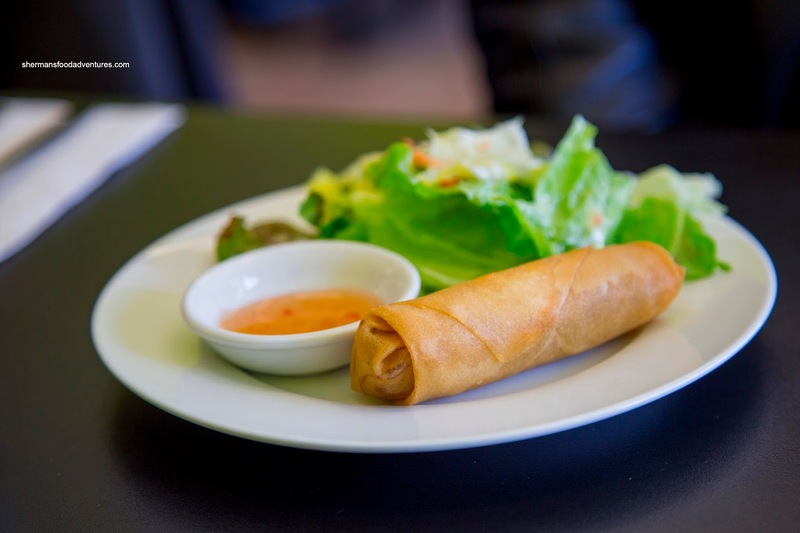 The spring roll was served piping hot and crunchy. Inside, it was stuffed with vermicelli and cabbage. The textures were on point while the flavours were peppery and spiked with fish sauce. 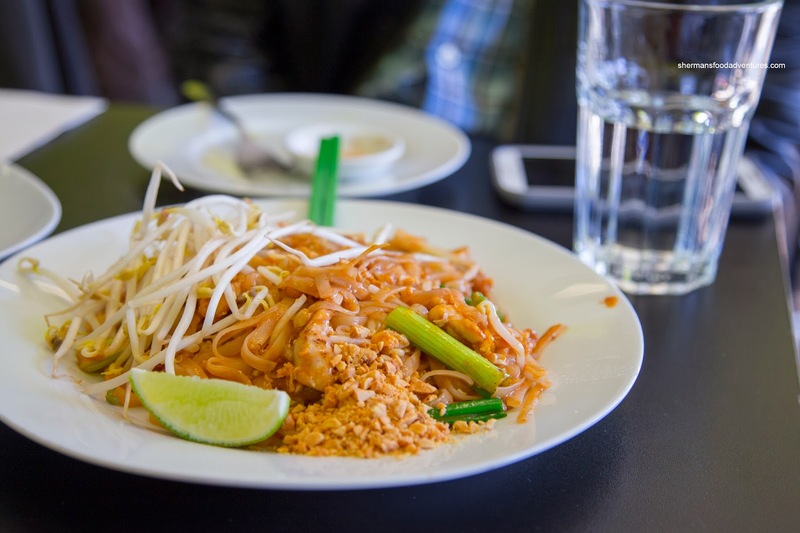 Judging from the aroma and visuals, we were pretty sure there was no ketchup used in the Pad Thai. However, the overuse of palm sugar emulated a "ketchup-type" feel as the rice noodles were very saucy and syrupy sweet. Hence, it totally overwhelmed the flavours of the other ingredients (pressed tofu, pickled turnip, peanuts and sprouts). 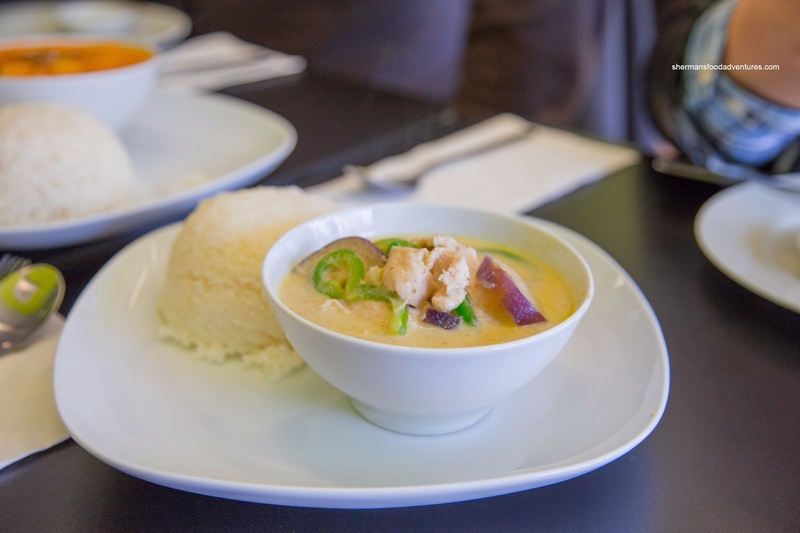 We also went for a couple of curries including the Chicken Green Curry. This was a creamy and very mild concoction which was also the afflicted with too much palm sugar. Hence, the curry was quite sweet which overshadowed any spice or the pungency of shrimp paste. I did get the basil and a considerable amount of bamboo shoot essence though. 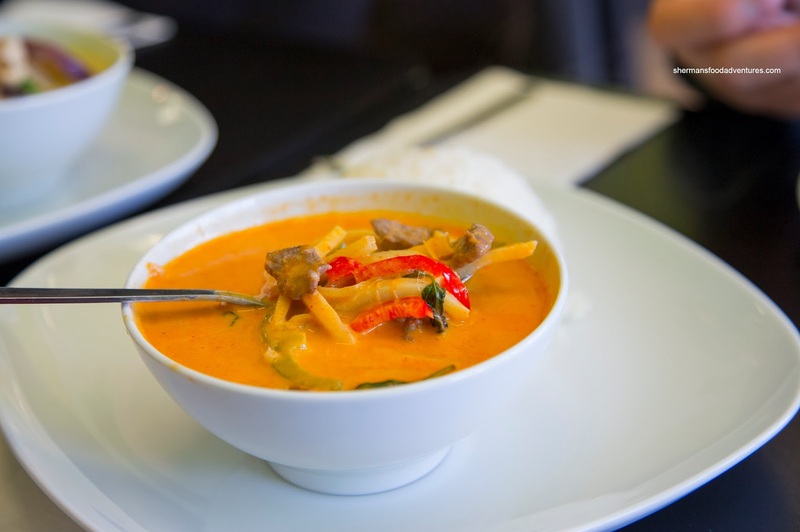 Continuing on the same theme, the Beef Red Curry was sweet as well. Hence, it was not really all that spicy, yet the bamboo shoot really came through. The ingredients had vibrancy and texture while the beef was mostly tender. 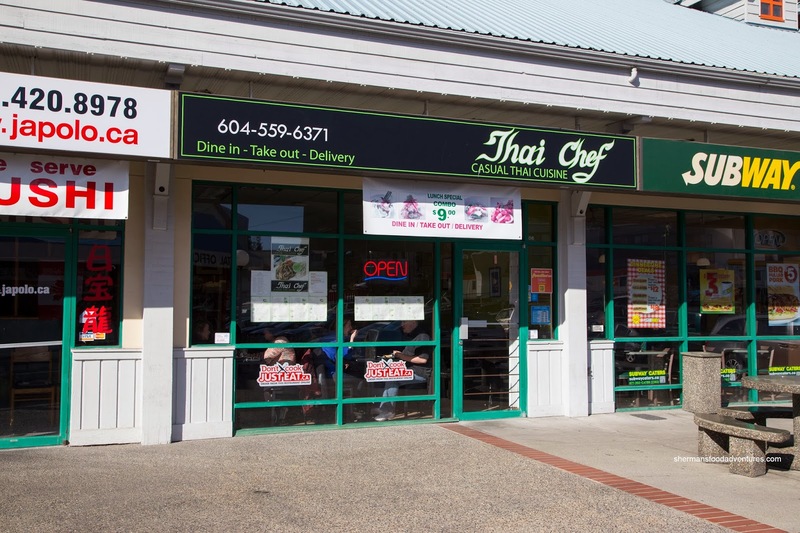 Judging by the dishes we had, the food at Thai Chef was decent, yet we would've preferred that they were more conservative with the palm sugar.